Read a Photo Essay About the Kansas City Residency Here! 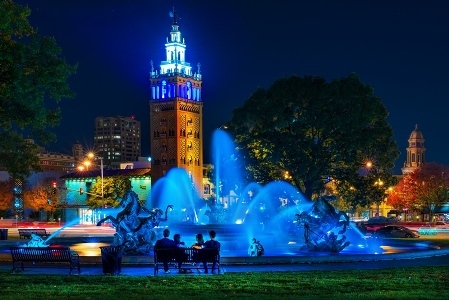 The J.C. Nichols Memorial Fountains, Kansas City, MO. Photo credit: David Arborgast. Photo courtesy of Visit KC. Staff resident Johanna Tschebull met with a number of dance makers and cultural leaders in Kansas City in September and October 2016. The list below represents some of the individuals and organizations that she connected with during her residency.